it’s a lot of fun having kids home for the summer break, do not get me wrong! but there are two things i’ve been struggling with :: 1. keeping kids entertained, and 2. they are eating me out of house and home. i don’t know what it is but they eat all.day.long. they are constantly asking for more and more food. maybe it’s because they’re growing like weeds, or maybe it’s because they think there is nothing to do and it fills the boredom gap. either way, making these ice cream cookie sandwiches is a great way to both give them something to do that they love helping with (baking), and also giving them a fun treat to eat. this past week we made these ice cream cookie sandwiches using cookie dough i had in the freezer. every couple of weeks we make a double batch of chocolate chips cookies in our (aff link) Bosch stand mixer (it’s high-capacity, so you really can make a ton of cookies! ), scoop them with an ice cream scoop (so they each bake to approx the same size) into dough balls, flash freeze them, and then keep them in a freezer-safe bag until we’re ready to bake some off. this time we decided to add some ice cream and create our own ice cream sandwiches. i love these because you get the yumminess from the chocolate chip cookies, and the cool creaminess of the ice cream. and during the summer heat, it’s a great combination! you can use whatever kind of chocolate chip (or other type of) cookie recipe you like. the recipe i like to use is this doubletree cookie recipe. when i make a double batch it makes *a lot* of cookies, plus they’re nice and thick and hold up well with the ice cream. make/take/bake your favorite cookies. you will need two cookies for each sandwich, so keep that in mind when you’re looking at how many cookies you’ll need. if you’ve just baked them, you’ll want to make sure they are completely cooled so that you don’t accidentally melt the ice cream and so they hold their shape when you press them down to flatten your scoop of ice cream! grab your favorite flavor ice cream. we just used vanilla because it’s neutral and goes really well with the chocolate chip cookies, but you could try mint ice cream with chocolate cookies, etc. if your ice cream is really hard you’ll want to let it sit out for a couple minutes so that it will give when you sandwich it between the cookies. 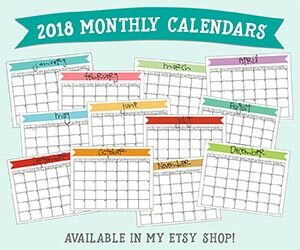 use an ice cream scoop (aff link) to place the ice cream on the bottom of each pair of cookies. 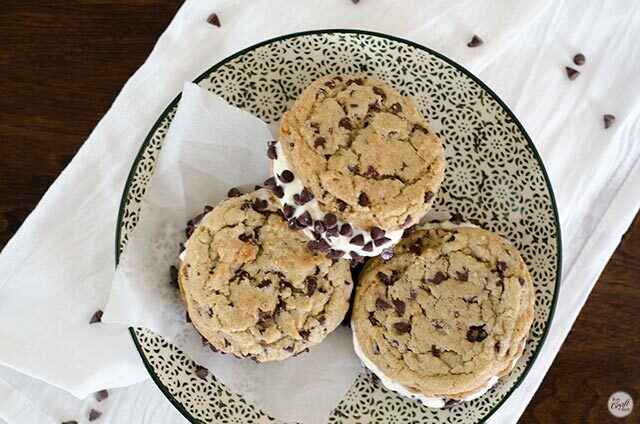 place another cookie on top and gently press it down so the ice cream comes out to the edges of the cookie sandwich. if you want, you can roll the edges of the ice cream sandwich in sprinkles or mini chocolate chips or nuts…be creative! 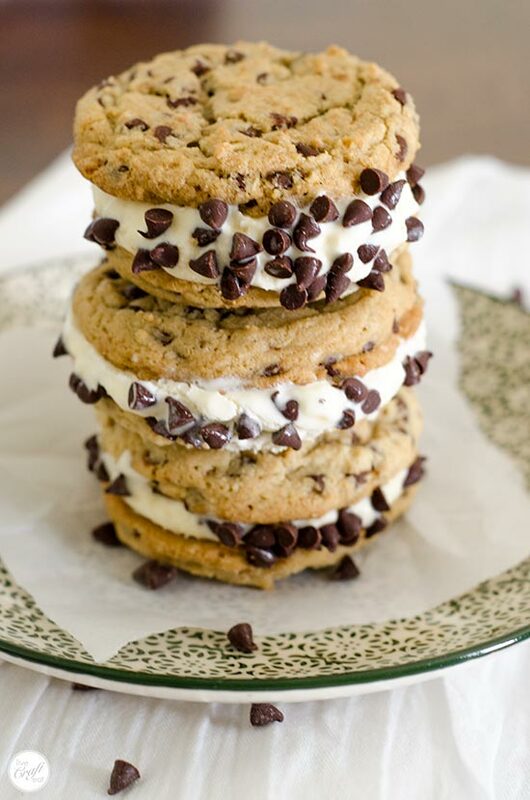 freeze the ice cream cookie sandwiches immediately so the ice cream can re-freeze and set up. to see how we made ours, watch the video below! happy ice cream cookie sandwich eating and making!